Her students call her Nüshen, which translates as ‘goddess’, and no wonder. Rice geneticist, Wang Shaokui, was promoted to full professorship on the strength of a single paper, the results of her PhD research published in Nature Genetics. That’s close enough to a superhuman feat in China’s academic system, where intense competition for tenured positions has created a rampant ‘publish or perish’ culture among the lower ranks. Wang’s 2012 paper identified a new, highly powerful, rice functional gene, OsSPL16, which can control the size, shape and quality of the grain, distinguishing itself from other known genes that control only one of these traits. Her promotion to a full professor in 2014 at Guangzhou-based South China Agricultural University (SCAU), two years after her doctoral graduation there, was a testament not just to her achievement, but the prominence of the plant biology field in China. Scholars in the discipline, including Wang, also hope her trajectory bodes well, by signalling willingness to value quality over quantity in fields where China has sufficient confidence in its home-grown research capacity. “Now at least in the field of rice biology, there is more emphasis on the role of truly important breakthrough studies of high-quality than on indicators, such as the number of papers, or even the impact factors of the journals that publish these papers,” Wang says. “China has firmly established world leadership in rice science and is steaming ahead, snatching global runner-up positions in biological studies on many other crops,” says Yan Jianbing, who specializes in corn research at Wuhan-based Huazhong Agricultural University (HZAU). He cites a Chinese paper examining China’s research output in rice, wheat and corn studies, which has been accepted for publication early next year. The bibliometric study, of which Yan’s HZAU colleague, Liu Bin, is first author, analysed worldwide publications in 31 leading plant science journals indexed by Web of Science. The authors found that between 2012 and 2016, more than half of all the studies on rice in the sampled journals came from China. 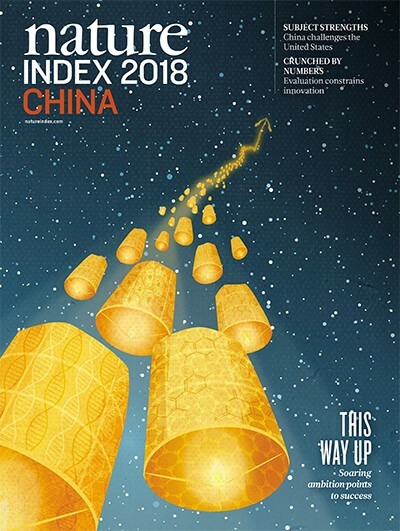 A surge in high-quality publications since 2012 by Chinese plant scientists has propelled the country to second place behind the United States in plant biology in the Nature Index, with its fractional count (FC) rising from 47 in 2012 to 90 in 2017. 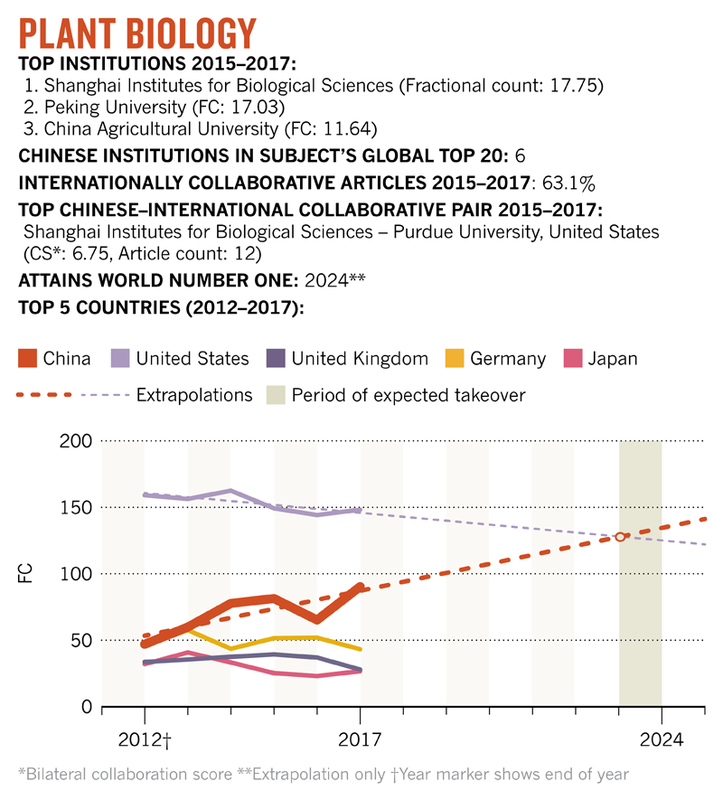 Based on the growth rates, it is possible that China will overtake the US to become the world’s leader in plant biology in the Nature Index within the next six years. Agricultural research is well-funded in China, reflecting the priority placed on food security. In addition to regular basic research grants from the National Natural Science Foundation of China, there are many megaprojects in agricultural research. For example, in 2008, the Chinese government launched a major initiative on genetically modified crop research coordinated by the Ministry of Agriculture and Rural Affairs, which will receive 24 billion yuan (US$3.5 billion) by 2020. In addition, in 2016, the Ministry of Science and Technology launched a separate key research programme for breeding seven crops, pouring 1.6 billion yuan into 19 research projects for the next five years. Chinese universities such as Peking, Sun Yat-sen and Zhengzhou are rushing to set up or re-establish their schools of agriculture, which were spun off in the 1950s to form independent agricultural universities across the country. All newly established agricultural schools have set out to modernize agriculture with breakthroughs in plant science research, and other areas such as low-carbon technologies, and artificial intelligence. In setting them up, many universities also seek to put themselves in the running for extra funding under the next round of World-Class Discipline rankings to be announced under the Double World-Class project in 2022, an initiative to raise the global standing of Chinese universities. China leads research in rice because the crop is of crucial importance to its food security, says Yan, who is professor and dean of the College of Plant Science and Technology at HZAU. 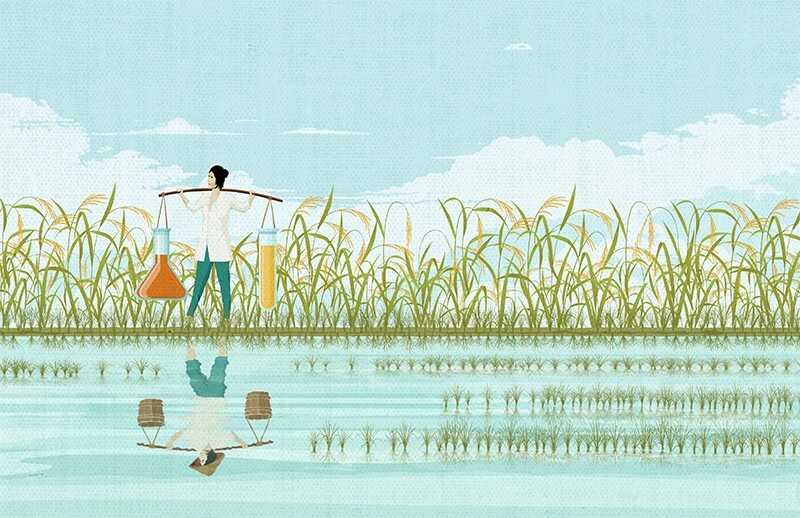 The country has a long tradition in the field, and is home to the world’s largest rice research community, with an estimated 3,000 labs and 50,000 scientists nationwide, according to Wang. Access to the latest technologies, particularly new generations of genome sequencers, and well-preserved high-quality samples of diversified rice varieties, point to further significant progress, says Wang. Studies to examine the molecular mechanisms underlying the productivity and properties of high-yield hybrid rice, as well as its resistance to disease and environmental challenges, have been the focus of Chinese plant biology research in recent years, as set out in the annual reviews of the Chinese Bulletin of Botany. For example, a study led by Han Bin of the Shanghai Institutes for Biological Sciences (SIBS), published in Nature in 2016, analysed the genomes of 17 hybrid rice crosses to reveal the genetic mechanism underlying hybrid vigour. The study, selected by leading scientists for the state-owned publication Science & Technology Daily as one of the 10 best breakthroughs nationally, was ranked in importance next to the development by Chinese scientists of hybrid rice in the 1970s. SIBS was China’s leading institution in plant biology in the index in 2015–17. Hybrid rice developed by Chinese scientists in the 1960s and 1970s has fed millions in countries like India, Vietnam, Pakistan and the Philippines and won Yuan Longping, its main developer, the 2004 World Food Prize. Contemporary plant biologists in China, including Wang and Yan, believe their work will also benefit the world by leading the way to new high-yield, high-nutrition and pest-resistant crop varieties. “Previously, the central policy consideration was to provide enough food, but now, improving the taste of rice and developing diversified food supplies from wheat, corn and soya have become equally important,” says Wang. Wang, by then a professor, received a prestigious 2015 Young Changjiang Scholar award from the Chinese Ministry of Education. In the same year, she published a second study in Nature Genetics that identified a gene, GW7, that controls rice traits and texture and simultaneously improves yield and grain quality.